Your business, our journey. Let us hit the road! 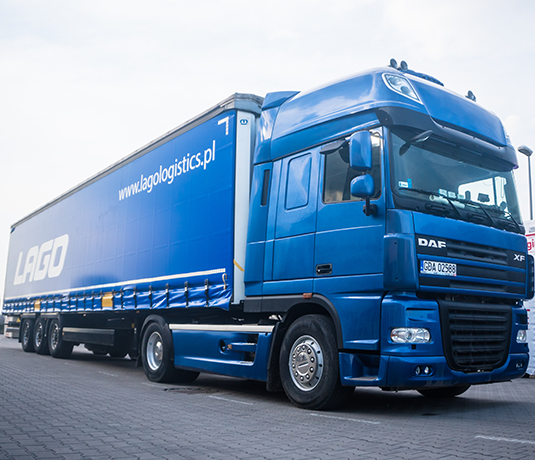 LAGO LOGISTICS – transport, forwarding and logistics consulting at the highest level. Our company was founded on customers’ needs connected with groupage service… But today we can easily help you with any load!We cross sea and land routes with goods from the farthest corners of Europe. We have terminals in Gdynia and Warsaw. We are constantly opened to new markets. We can reduce your costs with our trusted partners in Scandinavia, southern and western Europe. We are professional in each and every business journey. We care about you being satisfied with cooperation - we will offer you a specialized fleet and experienced forwarders. Our forwarder will constantly be ready to provide you help and support. Besides, we will shorten delivery time to a minimum! Even more, we also care about the environment - all of our procedures are adapted to the current environmental standards! Our company was founded on the needs of customers connected with groupage service. But today we can easily help you with any load!